Sarah Michelle Gellar is now married with actor Freddie Prinze Jr. They have a daughter, Charlotte Grace Prinze, born on September 19, 2009 in Los Angeles. 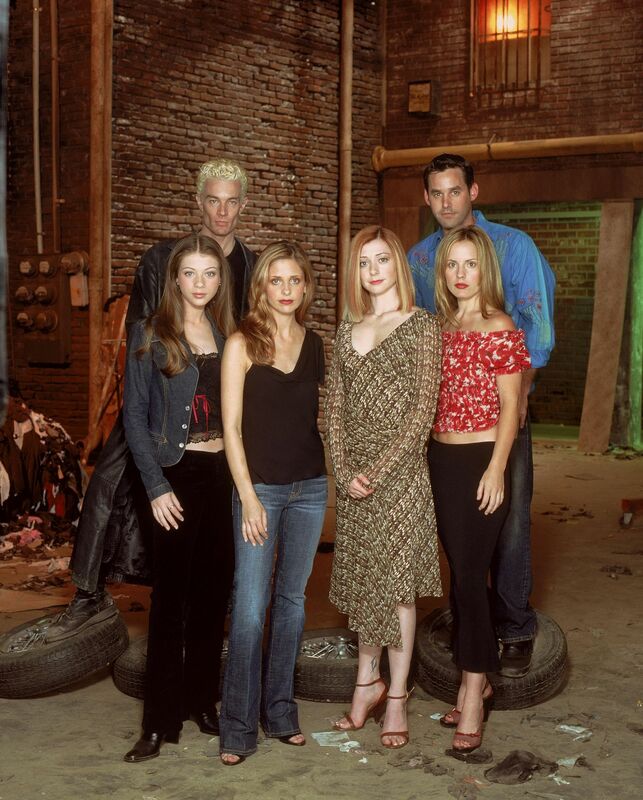 This entry was posted in TV Series and tagged Alyson Hannigan, Amber Benson, Angel, Anthony Head, Buffy the vampire slayer, Charisma Carpenter, David Boreanaz, Emma Caulfield, James Marsters, Joss Whedon, Marc Blucas, Michelle Trachtenberg, Nicholas Brendon, Sarah Michelle Gellar, Seth Green by dvdbash. Bookmark the permalink.